This design takes advantage of the drape provided by the silk content of the yarn to achieve a soft cascade of the front lace panels. 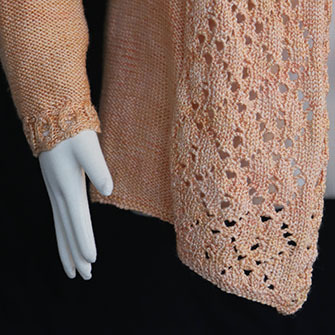 The clear stitch definition of the yarn highlights the 1×1 cables that encircle the lace pattern. 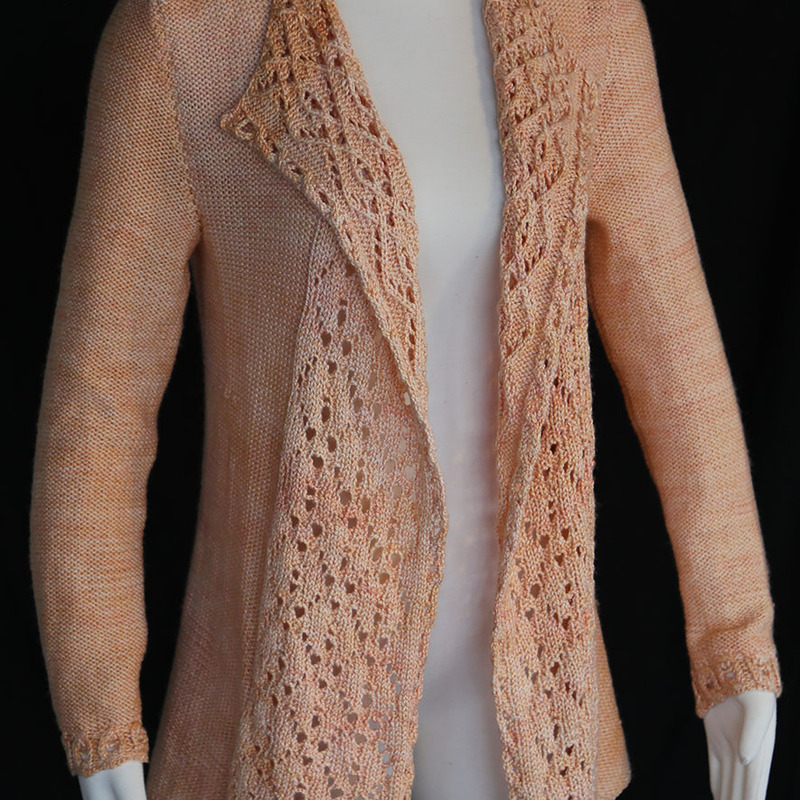 The beautiful luster of the yarn makes this sweater suitable for both daytime and evening wear—try it with jeans, or as a cover for a cocktail dress.